Nothing can be more devastating than the sudden death of a loved one. When a family member is killed in an accident or due to professional malpractice in Illinois, it’s time to consider contacting a Chicago wrongful death attorney at Rosenfeld Injury Lawyers LLC. When the unthinkable happens and a loved one dies, we know that it can be hard to know where to turn or what to do. To help you, we’ve created this online intake form for a free case review. Your intake form will be reviewed by a seasoned wrongful death lawyer and we will contact you the same day to discuss your legal options for a financial recover. If you need urgent help, you can call us at (888) 424-5757. We’ve also created this page to help guide you through some of the important elements of an Illinois wrongful death claim. First, we’ll walk through what a “wrongful death” lawsuit is and who can sue for wrongful death. Next, we’ll discuss some of the more common Illinois wrongful death lawsuits and the damages available. Then we’ll wrap up with some of the most frequently asked questions about wrongful death cases. Remember, this page isn’t a substitute for a full legal consultation, so seek further assistance as soon as possible. When you turn to Rosenfeld Injury Lawyers, you’ll get a Chicago wrongful death attorney with decades of experience helping families. We endeavor to hold those responsible for your loved one’s death liable. You will not have to deal with fees unless you receive compensation. What Is the Legal Definition of ‘Wrongful Death’? In Illinois, wrongful death is defined as a death caused by “a wrongful act, neglect or default.” See 740 ILCS 180. The person or entity that caused the death, can be held liable in a wrongful death lawsuit. Under the Illinois Wrongful Death Act, when a loved one is killed, family members can bring suit on behalf of the deceased and also recover compensation for their own losses resulting from the death and its impact on them. In order to win wrongful death lawsuits, the party initiating the case has the burden of establishing that the party they are suing acted negligently and that their negligence was the proximate cause of the death of their loved one. In Illinois, a wrongful death lawsuit must be filed with the statute of limitations for the underlying type of case, or within one year of the date of the deceased person's death, "whichever date is the later.” See 735 ILCS 5/13-209. This means that for a death resulting from a personal injury, the suit must be filed within two years of the date of the accident. Because time is limited, you should seek the advice of an experienced Illinois wrongful death attorney as soon as possible to ensure that your claim is not barred by time limitations. Who Can Initiate a Wrongful Death Lawsuit? In Illinois, only the family and heirs of a deceased person can file a claim for wrongful death. This may be their spouse, child, or court appointed personal representative. The money that is awarded in the lawsuit is usually distributed to the legal heirs or beneficiaries of the victim. Although, in certain instances, the beneficiaries of family members and heirs can recover compensation as well. Plaintiffs are only barred from recovery if they negligently contributed to the decedent's death. If the negligence of the beneficiary was less than 50% of the cause of death, then damages will be lowered by that percentage. However, if the negligence of the beneficiary was more than 50% of the cause of death, then that beneficiary, and any beneficiary, will be barred from recovery. 740 ILCS 180/2(1)-(2). Some of the most common wrongful death suits in Illinois involve: car accidents, medical malpractice, medication errors, and work accidents. Every year, more than 35,000 people lose their lives in highway accidents in the United States, according to the Insurance Institute for Highway Safety. According to the CDC, teenage drivers are more than three times more likely to be involved in a fatal crash compared to drivers over the age of 20. In Illinois, 1,082 people were killed in motor vehicle accidents in 2016 alone, according to the Illinois Department of Transportation. These accidents included car, truck, and motorcycle fatalities, bicycle fatalities, pedestrian fatalities, boating accidents, and drunk driving accidents. When we go to a doctor or hospital, we expect them to treat us with competence and care. Unfortunately, mistakes made in the medical field account for an estimated 210,000 to 440,000 premature deaths each year, according to the Journal of Patient Safety. These may include surgical errors, nursing home abuse, anesthesia errors, diagnosis errors, emergency room errors, birth injuries, and bedsore fatalities. Illinois law allows the family of a person who was killed as a result of medical negligence to file a wrongful death lawsuit against the individual physician and/or the hospital where the treatment occurred. The most common causes of medication deaths result from dosage errors, medication interactions, and wrong medications. The Centers for Disease Control and Prevention estimate that more than 48% of Americans have taken some form of prescription medication within the past 30 days. More than 4 billion prescriptions are given out each year to patients during visits to the doctor or admission to a hospital. The majority of these medications are analgesics, antidiabetic agents, and antihyperlipidemic agents, which can all be dangerous at the wrong dosage. Unfortunately, accidents do happen. Moreover, given the prevalence of prescription drugs in our society, there are also financial incentives to develop new drugs to treat conditions. Unfortunately, sometimes, the new medications are not sufficiently tested by manufacturers before being brought to market, and this can result in deadly consequences. The same can also be said of medical devices. Despite ongoing legislation to improve workplace safety, going to work remains dangerous for a large percentage of the workforce in the United States. For instance, according to the U.S. Bureau of Labor Statistics, 4,836 people were killed while working in 2015. The BLS evaluated these incidents and determined the primary causes of death on the job to be transportation accidents (42.5% of fatalities), falls from elevated heights (16.5%), accidents involving heavy equipment (15%), exposure to harmful substances (8.7%), and fires and explosions (2.5%). People in construction, transportation and trucking, agriculture, and the oil and gas industries tend to be most at risk. Our Chicago wrongful death lawyers evaluate the details of each case to determine a fair value of the damages sought from the parties at fault for your loved one’s death. Under the Illinois Wrongful Death Act, the jury may award damages that are deemed to be fair and just compensation for your loved one’s death, "including damages for grief, sorrow, and mental suffering, to the surviving spouse and next of kin of such deceased person." 740 ILCS 180/2. (6) punitive damages, which are awarded to punish the party responsible for your loved one’s passing. If the negligent act or behavior is considered especially reckless or contemptible, punitive damages may be applied as a means of providing your family with justice, while making an example of the negligent party to discourage similar behavior in the future. In Illinois, damages are distributed to the surviving spouse and kin depending on their level of dependency, closeness, and relationship with the deceased. Below you will find some questions posed to us after a love one dies due to the negligence of an individual or company. If you have an additional question, feel free contact our law firm for more information. In Illinois, generally only the family and heirs of the deceased can file a claim for wrongful death. This may be the deceased’s spouse, children, or a court-appointed personal representative. However, just because an individual has standing to initiate a wrongful death case does not mean that they will receive the proceeds under Illinois law. In order for the proceeds from the lawsuit to be distributed, a judge must determine the amount that each family member will receive. How Long do I Have to File an Illinois Wrongful Death Lawsuit? In Illinois, you generally must file a wrongful death lawsuit within two years from when the death occurred, depending on the type of case. If you do not file within this time period, your case will be barred. There are certain exceptions, but this general rule holds for most deaths arising from medical malpractice, personal injuries, or other kinds of misconduct. What Type of Financial Compensation can I Recover From a Wrongful Death Case? 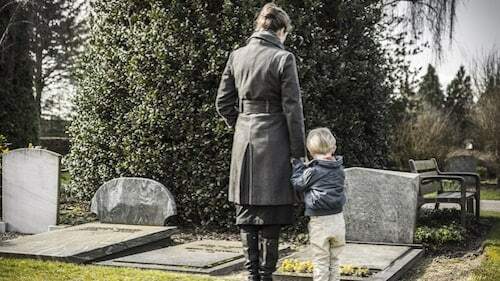 In an Illinois wrongful death claim, you can generally sue for expenses, including medical and burial expenses; pain and suffering, both for the deceased and their family; lost society, for family members of the deceased; and punitive damages. Spouses may also receive compensation for lost consortium. While we cannot place specific numbers on unique cases, it can be useful to compare Illinois facts and figures about wrongful death litigation to those around the country. The median recovery for wrongful death cases across the nation has been about $250,000 since 1990, while the average U.S. wrongful death recovery is more than $1,000,000. This is slightly higher than the median and average recoveries in Illinois. However, in Illinois, one-third of plaintiffs recover damages higher than $1,000,000. Nationally, only one-fifth of plaintiffs recover the same sum. Illinois also tends to have slightly higher rates of wrongful death litigation than the rest of the U.S.
How Much Does it Cost to Hire an Attorney to Represent me in a Wrongful Death Case? The good news is that at Rosenfeld Injury Lawyers LLC, we do not charge an upfront fee for wrongful death cases that we take on. We work on a contingency fee basis, which means there is no fee for our clients unless we obtain a financial recovery that you approve. The amount of our fee will depend on a number of factors, including the amount of time the lawsuit requires for research, negotiation, court litigation, as well as the final amount of damages recovered. If we do not win a financial recovery for you, we do not get paid for our services. Many Chicago wrongful death claims are never filed because the families of the deceased feel that they have a low chance of success. They may also be wary of attorneys who don’t place their interests first. Rosenfeld Injury Lawyers LLC has fought on behalf of families from across Illinois to help them find justice following the loss of a loved one. For this reason, we offer free consultations with a wrongful death attorney. Contact us today to schedule your free consultation with a wrongful death lawyer at our Chicago firm or to learn more about the legal rights of families who have lost a loved one in an accident or due to malpractice.